When I was a member of a camera club one of the first question I was ask upon meeting a fellow member was, “what sort of camera have you got”, it was a way that they used to judge your social standing in the club. It was as if the better your camera, the better your photography, a real case of size matters. A camera is a tool, like an artist brush or a sculpture chisel, you should pick the right one for the job, unfortunately the decision normally comes down to one thing, money. So this lesson will explore cameras and try to point you to the best one for you. Where to start, there is so much information that you need to take a good photo and a lot of it will be personal to you, how your camera works, the right setting for the lighting conditions, how to frame and position the subject and any of a thousand variables that make a photo good. So my idea is to teach you the back ground and basics, so that you can then answer the personal questions yourself. God is a photographer, near enough the first word attributed to him (or her), were “let there be light” and that is the main ingredient in photography, light. Light and the effect it has on the subject form the back bone of any photo and the correct capture of that light is the main aim of most of the controls on your camera. So I will start with the basic way that light is controlled and captured in a camera. Welcome to the first part of my photography course, the aim of this is to improve your photography and the important word there is YOUR. Photography is a difficult subject to quantify, it’s part science, part art and part history, you can become a master at the technical side, know all the major photographers and their techniques and still be unable to take a single photo anyone likes. This is because its an art form and when all is said and done, regardless of how the image was captured, it’s the image its self that’s important. Years ago I started to take pictures to please other people and soon started to hate photography, I had gotten away from one of the basic goals of taking pictures, enjoyment. Once I had realised this I started to shoot images that I liked, the result was I enjoyed it more and took more photos and started to create images that made me happy. lock the exposure and focus for the whole set of shots, if your on digital take a shot of the middle that’s correctly exposed and focused and lock at that. Over lap the shots, the more the merrier. Try to pan smoothly, keeping the camera level. Once done you should be left with a set of shots that should nearly fit together with out any computer help, like these. The next steps take place on Photoshop CS3, it will differ on other software, but not by too much. I use the standard join most of the time, but try all of them to get the effect you want, select the images and hit go. 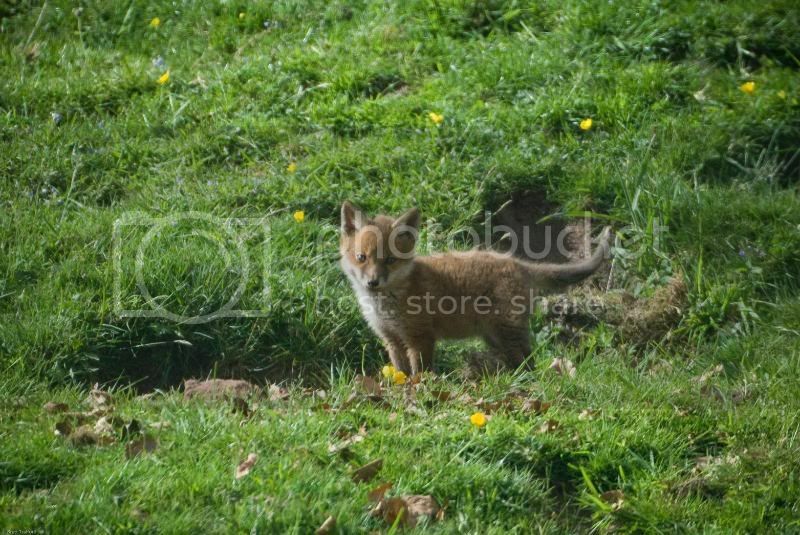 Let me start by saying that I have being trying to photograph fox cubs for over 15 years, even on my wedding day, so it has become a bit of an obsession. 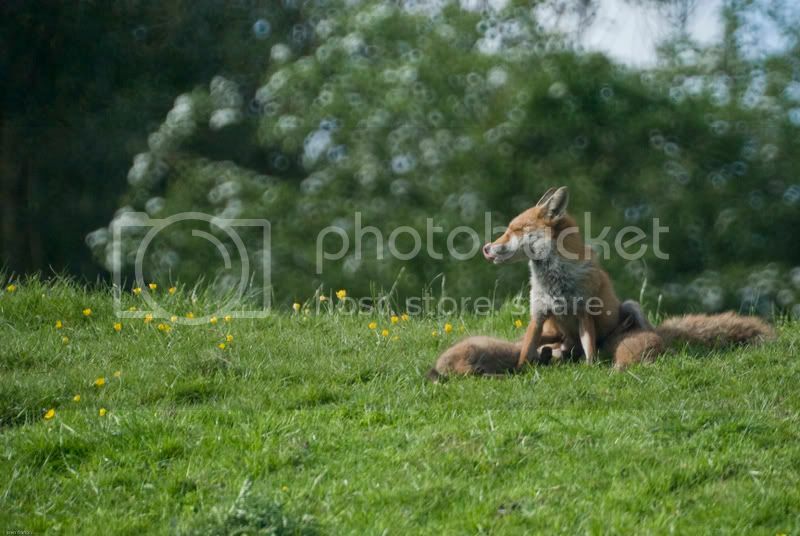 Why Foxes, well in the UK we don’t have many animals that can provide such a challenge, they are the closest thing to a wolf that we have, extremely clever, very observant and normally will try to keep away from man. On the plus side they are photogenic and as beautiful as you can get. The first stage of the hunt starts in the depth of winter, only then can you spot tracks, paths and holes that in a few months will be hidden by undergrowth. So after many cold day spent wondering the woods and fields you will, hopeful, have identified a number of holes, maybe you have even see a fox or two.